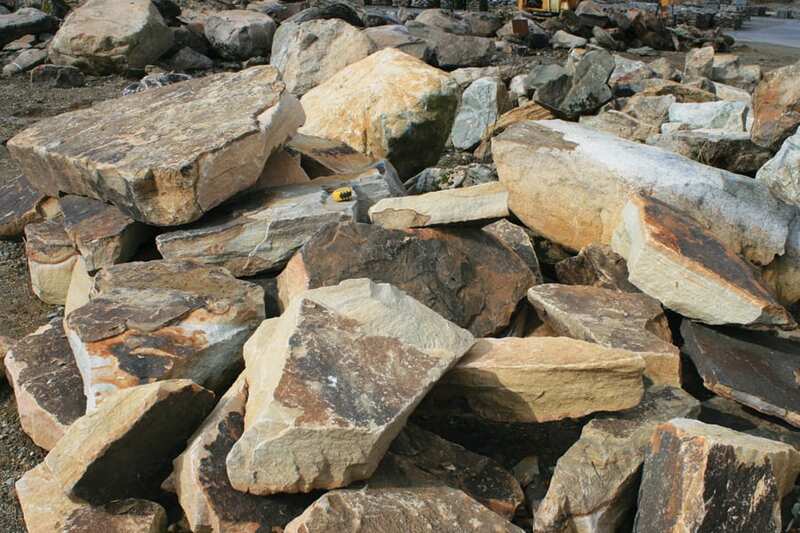 Large "chunks" of our popular Rainbow stone can make an exceptional stone wall. Pieces are ideally roughly square or rectangular. Most pieces will weigh several hundred pounds or more. Primarily brown or tan with a mix of accent colors that range from white to black, salmon, and rust. 6 to 8 square feet per ton. 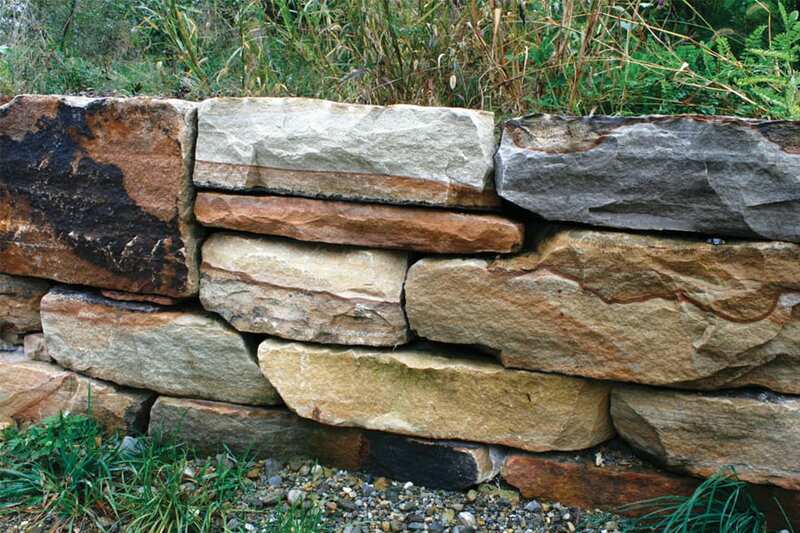 A ton produces a wall 2' high and 3-4' feet long - or any combination of height / length that equals 6 to 8 square feet. The color bands in Rainbow stone are often exceptional.